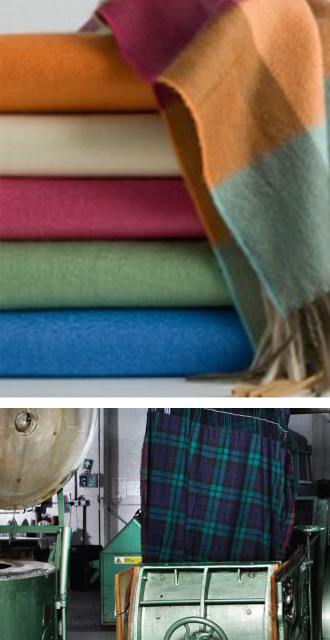 Fino Lino has the distinct honor of being a Distributor/Dealer of Begg & Co. Scotland Throws & Blankets in the US. Established in 1866 in the Scottish town of Paisley - best known for that iconic pattern of the same name, Begg & Co draws on both a long history of weaving expertise, skilled craftsmanship, and all that modern technology has to offer. Inspired by Scotland's textural landscape, lochs and seas and hand-loomed to perfection with the finest raw fibres by a small team of local weavers. Begg & Co. has truly earned its standing as the quintessential Scottish brand. From luxuriously soft & cozy Cashmere and Cashmere/Silk Blends to the warm embrace of Angora Lambswool, your Begg & Co. Blankets & Throws will be treasured for a lifetime. To purchase Begg & Co. Throws & Blankets, please select your product and send us a Custom Order Request. We will reach back out with pricing & availability. Approved Retail Vendors and Designers may visit our Wholesale/Designer Portal for details & pricing.